Married to John A. Logan for thirty-one years, Mary Logan shared in her distinguished husband's career as a prosecutor in southern Illinois, as a Civil War general, and as a senator from Illinois. She observed firsthand the extraordinary events before, during, and after the Civil War, and she knew personally those world leaders who held the power to shape history. After the death of her husband, she maintained her influence in Washington, D.C. Born in 1838, Logan writes of her early days growing up in southern Illinois through 1913, when this book was first published. A skillful observer, she recounts events personal, regional, and national in scope. In charming detail, she shares her courtship and subsequent marriage to a young prosecutor from Jackson County and the births of their children. She writes proudly of the Lincoln-Douglas debates in 1858 and her husband's election to the Thirty-seventh Congress that same year. Logan tells of the coming of the Civil War and of her husband - formerly a Democrat and an enemy of Lincoln - casting his fate with the Union and raising a regiment in southern Illinois. She poignantly describes her brother's defection to the Confederate Army, her life in war-torn Cairo, Illinois, and her horror at her husband's severe war wounds. 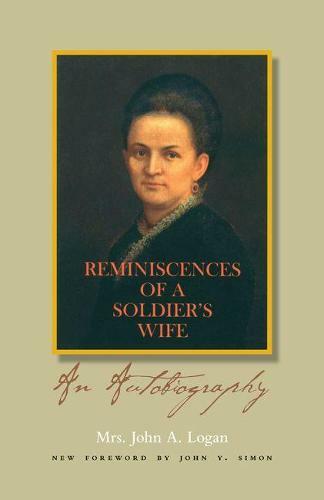 She recounts the battles, the political campaigns, and Lincoln's reelection and subsequent assassination from her point of view, and as the wife of a politician and general, hers is a decidedly privileged perspective. In a position to observe and to participate in events ranging from momentous to minute throughout the latter half of the nineteenth and early twentieth centuries, she reports the essential episodes of historywith the flair of the journalist she in fact became after the death of her husband.